Two Wongs Make A Right: Changing Table DIY Reveal! One thing we knew we'd need for the nursery was a changing table/dresser. I wanted to get a combination of the two because our nursery is not huge and I figured it would be more practical. Plus, I just really like the look of a long dresser used as a changing table. Yeah, I have the best supervisor ever, basically. 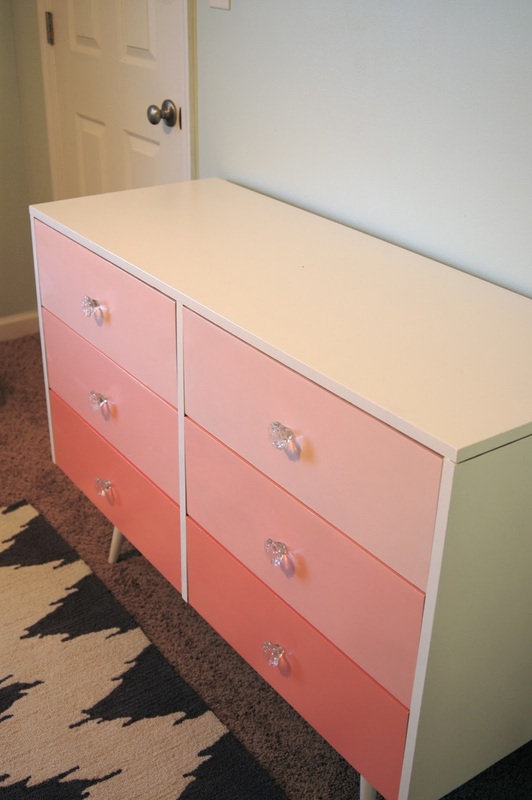 I knew I wanted to do an ombre paint feature on the drawers and figured it's a girl, so what better colors to use than soft pinks? I painted the main part of the dresser Behr's Vermont Cream which is an off-white as I wanted everything to be soft and not a glaring white. For the drawers I chose three pinks beside each other on a color swatch and ended up with Valspar's Brushed Rose, Salmon Bisque, and Snow Pa. We just bought a sample pot of each to keep it cheap. People can really be the pits sometimes, sorry they haven't been so kind. For what its worth - I think it looks great! Regardless of the name of the piece - the value comes from what it means to you, and since you own it - I'm glad you turned it into something you love! Thanks Bekah, really appreciate your kind words! Pregnant women with raging hormones take everything to heart haha! 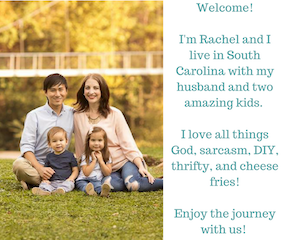 rachel, please let me know if you would be willing to part with the hardware that you took off of the drawers! i can use them! Hey, please email me using the link on the top right of my screen and we can chat about it!